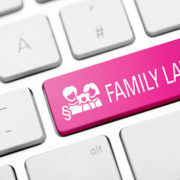 Family Law: What type of training does a parenting coordinator have? Daryle C. Tibbs, owner of Tibbs Law Office, begins a new series dedicated to the topic of Parenting Coordination. https://tibbslawoffice.com/wp-content/uploads/2011/07/Family-Law-Keyboard-110717-sm.jpg 267 400 TibbsLawOffice https://tibbslawoffice.com/wp-content/uploads/2016/02/logo-300x74.png TibbsLawOffice2019-04-20 18:10:222019-04-19 18:15:53Family Law: What type of training does a parenting coordinator have? Family Law: Who can be a Parenting Coordinator? https://tibbslawoffice.com/wp-content/uploads/2011/07/Family-Law-Keyboard-110717-sm.jpg 267 400 TibbsLawOffice https://tibbslawoffice.com/wp-content/uploads/2016/02/logo-300x74.png TibbsLawOffice2019-03-10 21:00:082019-03-10 21:00:08Family Law: Who can be a Parenting Coordinator? Family Law: What does a Parenting Coordinator do? https://tibbslawoffice.com/wp-content/uploads/2011/07/Family-Law-Keyboard-110717-sm.jpg 267 400 TibbsLawOffice https://tibbslawoffice.com/wp-content/uploads/2016/02/logo-300x74.png TibbsLawOffice2019-03-10 20:33:432019-03-10 20:33:43Family Law: What does a Parenting Coordinator do? Family Law: What is Parenting Coordination? https://tibbslawoffice.com/wp-content/uploads/2011/07/Family-Law-Keyboard-110717-sm.jpg 267 400 TibbsLawOffice https://tibbslawoffice.com/wp-content/uploads/2016/02/logo-300x74.png TibbsLawOffice2019-03-10 20:12:462019-03-10 20:28:24Family Law: What is Parenting Coordination? This video was created to provide viewers the opportunity to get to know our firm and to keep up to date on what we are working on in 2019. We hope you find these videos helpful. Family Law: Are there any decisions that a parenting coordinator cannot make? https://tibbslawoffice.com/wp-content/uploads/2011/07/Family-Law-Keyboard-110717-sm.jpg 267 400 TibbsLawOffice https://tibbslawoffice.com/wp-content/uploads/2016/02/logo-300x74.png TibbsLawOffice2019-03-10 03:39:502019-03-10 20:44:10Family Law: Are there any decisions that a parenting coordinator cannot make? Parents are Forever presents a great concept for co-parenting. It uses the analogy of owning a business together with your partner to show how people should co-parent. Parents who work together to care for their children after divorce become co-parents. No matter how ex-spouses feel about each other personally, co-parents who want to be successful ACT reasonably. Parents should attend formal meetings where child-related issues are discussed. This concept requires healthy negotiating, which requires proper distance and respect for one another. The book provides an example for proper business meeting structure and a checklist of discussion points that need to be discussed. 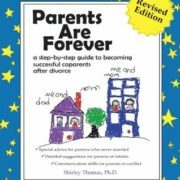 I give this book five stars for parents that are serious about successful co-parenting. 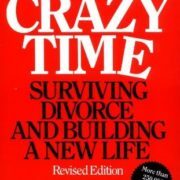 Even after all of the advice, this book teaches techniques, like accepting an un-perfect result, which is important, because after all, divorce is an imperfect result to begin with. I like the concepts in this book so much that I often formally recommend (in my GAL report) that parents read this book in cases where I am acting as a GAL. I give this book five stars.